Be it facade glazing or on windows, glazing is being extensively used in many buildings in India. These days, glasses have become an inevitable part of any building. With a view to promulgate knowledge and encourage exploration on glass, Glass Explore, an Industry-Academia partnership, offers internships and fellowships to glazing students, thus fostering their ideas and assisting in their research. 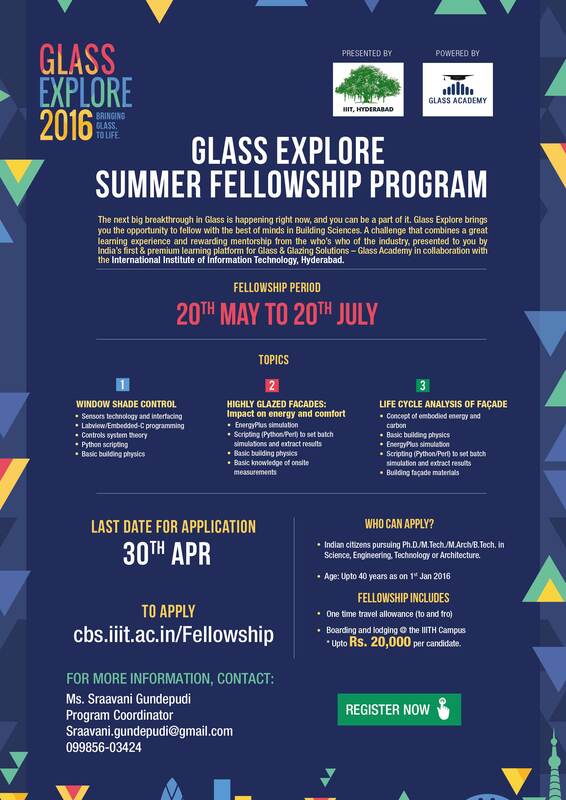 Who can apply for the glass Explore Fellowship?